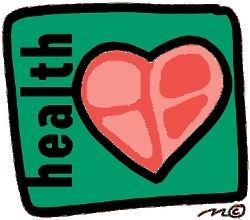 The health office hours are from 10:00 a.m. to 2:00 p.m. during the school day. Outside of these times, students are assisted by office personnel. We would like to remind you to keep your student's EMERGENCY CARD information up-to-date. This can be done at the school offices. Please click on the link below to read the school district's information sheet about type 2 diabetes, which is on the rise among teens, especially overweight teens. The sheet provides information about the disease, warning signs, how to be screened, prevention and treatment. All students entering seventh-grade each August must show proof of having had the whooping cough, or Tdap, vaccine before they will be allowed to attend school, according to California law (AB 354).